Fashion + Makeup + Music + Arts are all intertwine in my opinion. Last night, I attended a really cute event. Shopbop partners with Sephora to introduce a 5 in 1 Color palette by Sephora and inspired by shopbop.com "Faces of Fashion" editorial look book. I have to say it is a really really great gift for the non experienced make up lover like myself and for the very experienced make up guru! 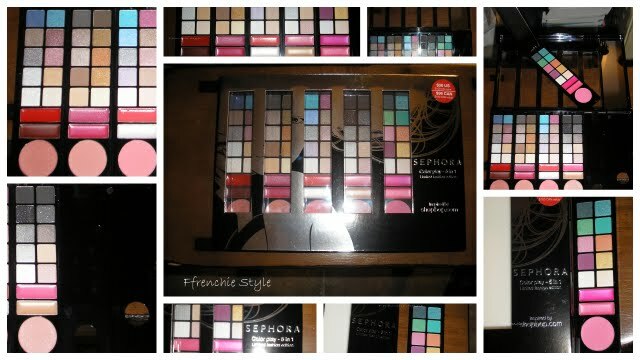 There are 5 interchangeable color palettes, the palette comes with a portable mirror compact. I was sold on the idea of being able to separate and travel each color palette. Retails for $30 & available on sephora.com. Together there will be a sweepstakes, with a chance to win a year's supply of makeup from Sephora and a $2500 shopping spree at Shopbop, which ends February 2, 2011.